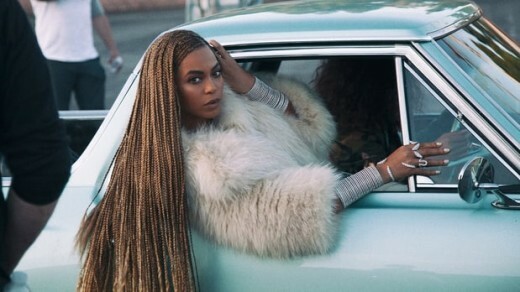 Prince has died and Beyonce’s out here serving lemonade! 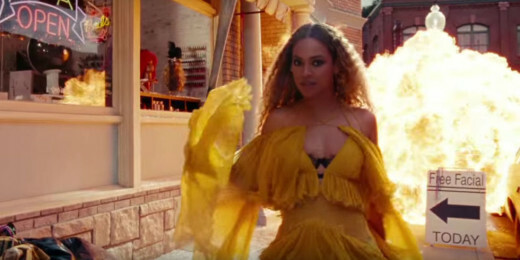 The music industry in the last 72 hours lost an iconic part of black history with the passing of one of Music’s biggest pioneers, Prince left us in heavy rotation of falling “Purple Rain,” but Beyonce got her umbrella out here serving this bitter sweet purple lemonade and she’s serving it with a dose of hot sauce! The anticipated album from the muva’ of roc nation dropped only moments ago on Tidal preceded by an hour long visual album special that aired on HBO that will have your head spinning, jaw dropped all the way past the concrete and your sub conscience going “i knew it”. Did she deliver? The answer is simple, doesn’t she always? She gave us southern hospitality, goth, emo, even a little country. This is none like any album she has put forth to date. This is Beyonce exposed and this should come as no surprise that she is exposing and validating truth on her terms! You might however want to sip slow and sit down whiles ingesting this glass of “Bey’s truth because the relativity to your own life might choke you! The HBO special delved deep into the very core of Black people and why more than ever it is truly time for us to get in “Formation” and it’s not just because our sons, brothers, husbands or fathers are being killed, but also because black people are divided and are hurting each other! The many high profiled cameos that came through to support Beyonce with this project demonstrated what power and change can look like if we as black people learned to love ourselves, heal each other and build each other up! We heard the sultry voice of “The Weekend” as Bey gave us some “red-light special” action in “Emptiness”. Serena Williams strutted her beautifully structured curves in “Sorry” as Bey looked all kinds of crazy in the chair she was sitting in, but she was everyone woman sitting in that chair that has been through the hurt and embarrassment of being betrayed by the one you love. We saw intimate moments that took place in her private home life with husband Jay-Z and even never before seen footage of her pregnant belly, putting to rest the rumor that she had a surrogate carry Blue Ivy. It seemed as though Bey was talking to every man and woman that has felt the pangs of people hurting people who claimed it was in the name of love through this album and HBO special, whiles subliminally airing her personal warning letter to her husband. It’s apparent that this album is personal! Years of speculation that her marriage was a tumultuous one validated by her in one night! She bears it all, her vulnerability, her ego, her jealousy and her crazy! The lyrics to some of the songs alludes to the possibility of a forthcoming divorce, validating the rumors that circulated on the net that Jay-Z had in fact cheated on her. In this HBO special though, Bey served him a dose of reality and read him right saying “This is your final warning, You know I give you life. You try this s–t again, you gonna lose your wife,” a line from the song “Anger”. She is not playing, letting him know that she is not the one to be cheated on! Shots were fired and she blew a baseball sized hole through her target’e ego and all of the “sidechicks” that want to think about being his sidechick! This lemonade gives you life, your life, it serves you a dose of reality, hers and yours, Bey gives you intimacy, pain, betrayal, anger, crazy, but most importantly she gives us the secret to healing and forgiveness. With each of these lessons heard through the 12 songs that’s on this album, Queen Bey has yet again demonstrated why her crown stays on top of her head, it’s because she’s figured out the secret to a happy life and that’s embracing your crazy, so that you can stay sane! Now this is how you “break the internet” with purpose! The Beyhive has no chill. Repellent anyone?